1. 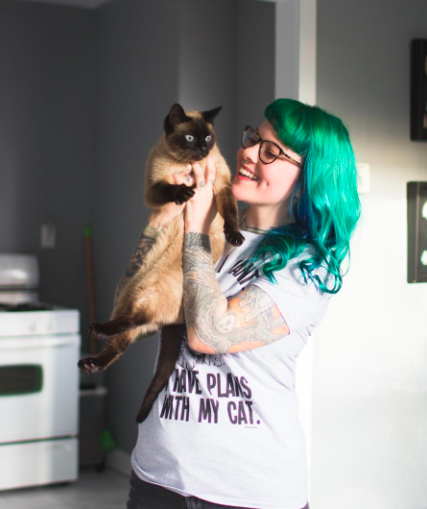 A soft tee that's a big meow-d for any pet-owning introvert. Get it from Amazon for $5.09+ (available in sizes S-3XL). 2. 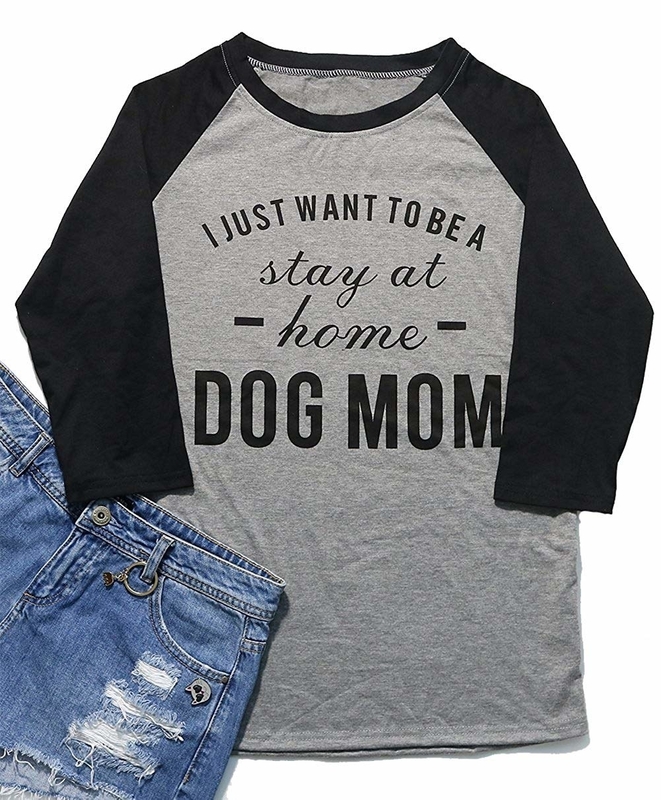 And a sweet baseball tee in a similar vein for those who prefer pups. Get it from Amazon for $11.99+ (available in sizes S-XL). 3. A glam option to wear on those days when you can't makeup your mind about what to wear. 4. 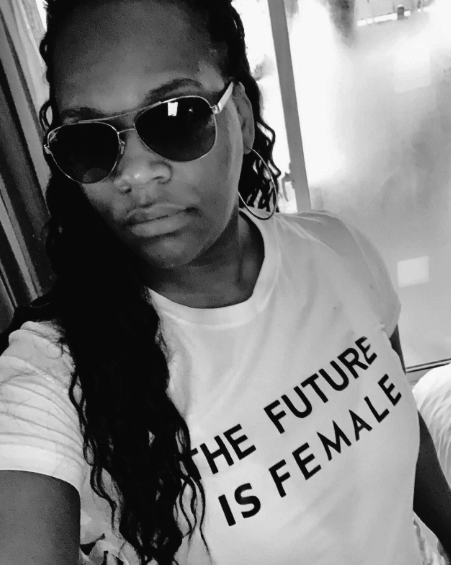 A badass tee for anyone who is so beyond ready for 2020. And who has been since November 2016. Reviewers say it's fitted, so size up if you want a boxier fit! 5. An adorable heart script tee from Ellen DeGeneres' clothing line you're sure to fall head over heels for. Get it from Walmart for $10 (available in sizes XS-3XL). 6. A cool BuzzFeed Unsolved tee inspired by the look of your old fave Saturday morning cartoons. I'm basically expecting Shane to blurt out "Zoinks!" in this picture. Get it from Amazon for $21.99 (available in men's and women's sizes S-3XL and kids' sizes 2-10 and in five colors). 7. A ringer tee that'll spare you from having to raise your hand. Get it from Box Lunch for $28.90 (available in sizes S-XL). 8. 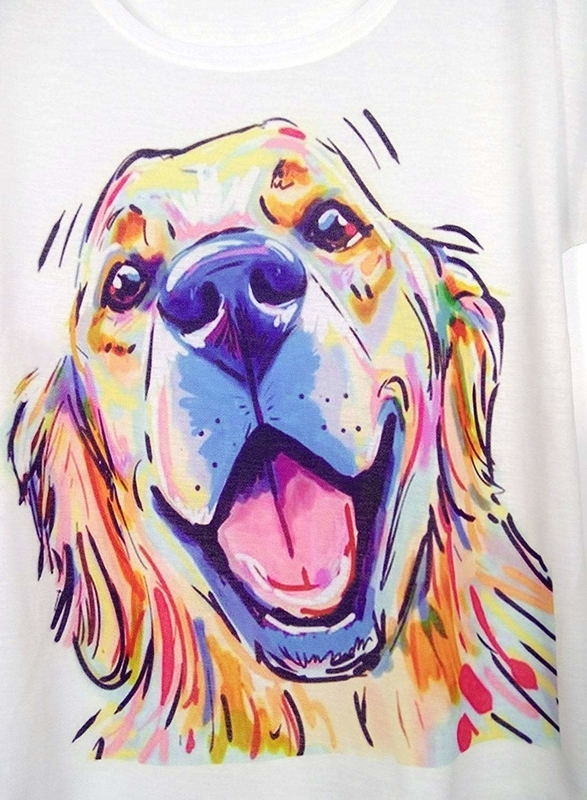 A painterly pupper tee with a gorgeous portrait of your fave breed. With all the colors, it'll go with everything you own! Get it from Amazon for $10.99+ (available in sizes S-XL and in three breeds). 9. A LOL-worthy Groot T-shirt sure to have everyone marveling at your wide range of emotions. Get it from Amazon for $17.12+ (available in sizes S-3X and in three colors). 10. A throwback-inspired tee to remind the world that we stan an educational icon. Even Arnold wouldn't want to stay home if he were wearing this. Get it from Box Lunch for $28.90 (available in sizes XS-XL). 11. A bold message tee that asks perhaps the most important question of all. Get it from Green Box Shop for $20.99. 12. A whimsical pocket tee I'm going Peanuts over. Get it from Forever 21 for $17.90 (available in sizes S-L). 13. 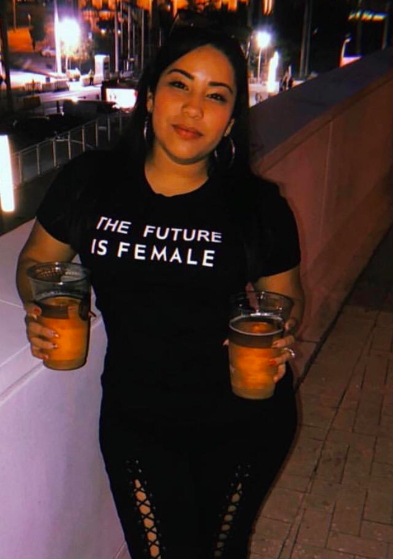 An absolutely amazing and empowering ovary shirt sure to have everyone who sees it fallo-peein' themselves with laughter, and you'll just be ~egging~ them on. Get it from Amazon for $17.99 (available in men's and women's sizes S-3XL and in four colors). 14. 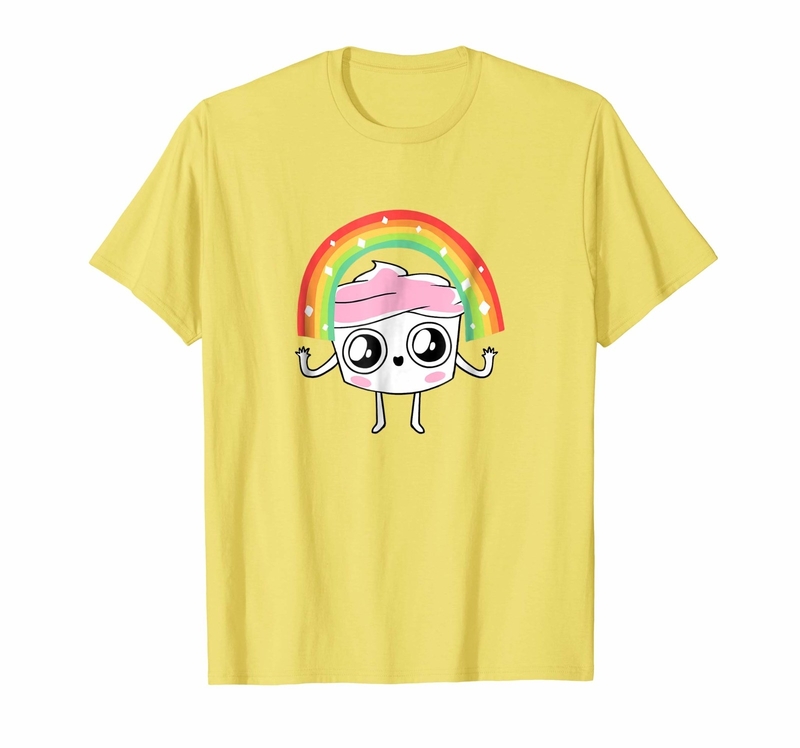 A BuzzFeed Good Advice Cupcake rainbow tee here to brighten your day. Get it from Amazon for $21.99 (available in men's and women's sizes S-3XL and in five colors). 15. A message tee featuring a classic Oscar Wilde quote that I'm totally wilde about. Get it from Forever 21 for $22 (available in sizes 1X-3X). 16. A fitted Rolling Stones tee to actually give you some style satisfaction. Reviewers say it runs small! Get it from Amazon for $21.99+ (available in sizes XS-XXL). 17. 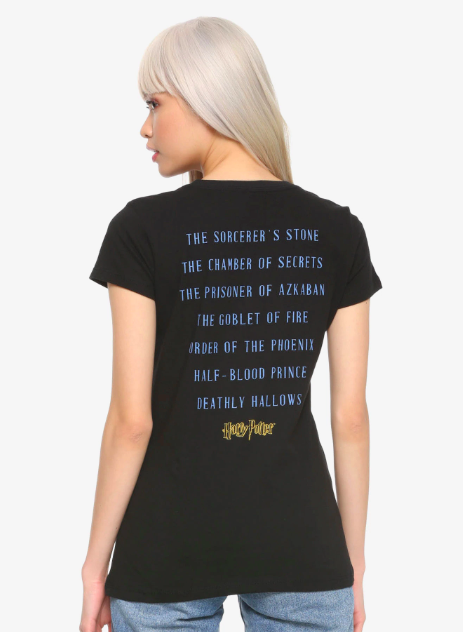 A clever Harry Potter style in the format of a classic band tee, with the names of the books listed like show dates on the back. Dude, you didn't go to J.K. Rowling's 1997-2007 world tour? You missed out BIG TIME. 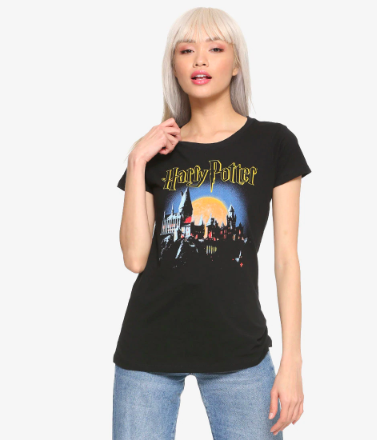 Get it from Hot Topic for $26.90+ (available in sizes XS-3X). 18. Or a slightly cheekier HP-themed option for folks who have their own way of coping with never getting their Hogwarts letter. This design is also available on a baseball tee, crewneck tee, hoodie, crewneck sweatshirt, tank top, racerback tank, or baby onesie. 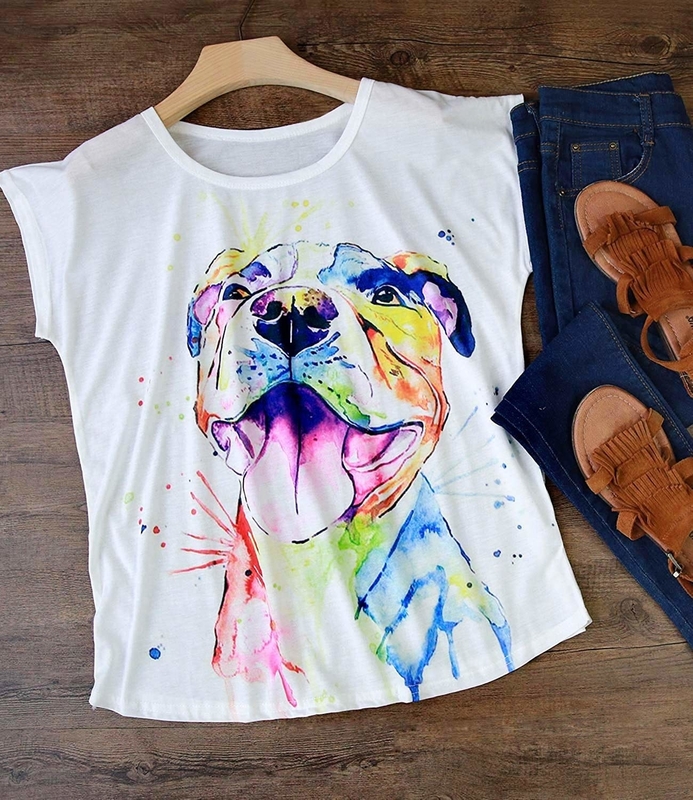 Get it from Human for $21.99 (originally $27.99, available in sizes S-2X and in two colors). 19. A cotton jersey tee featuring a sweet little cup of joe who truly believes in you. Get it from Ban.do for $42 (available in sizes XS-XXL). 20. 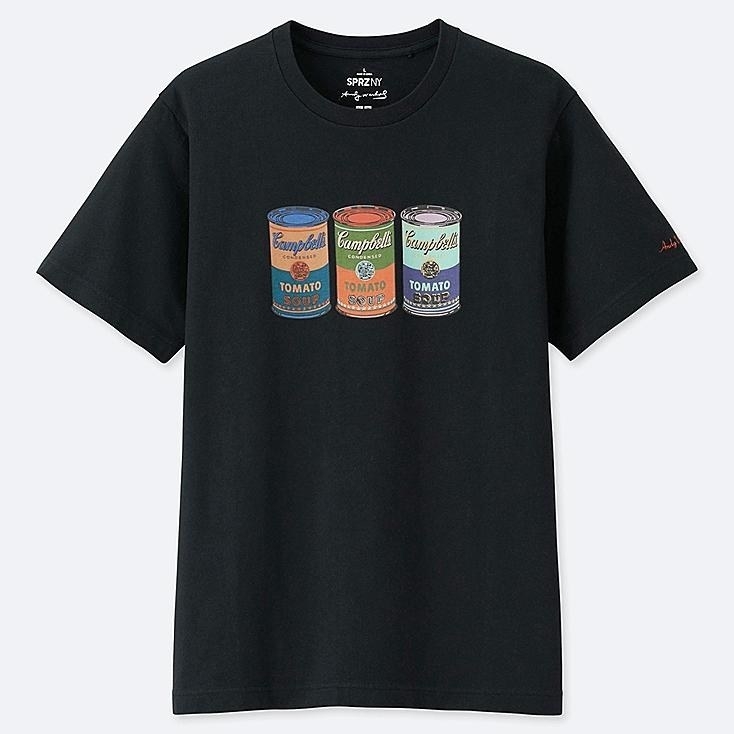 An Andy Warhol soup cans tee that's souper chic. Get it from Uniqlo for $14.90 (available in sizes XXS-3XL). 21. 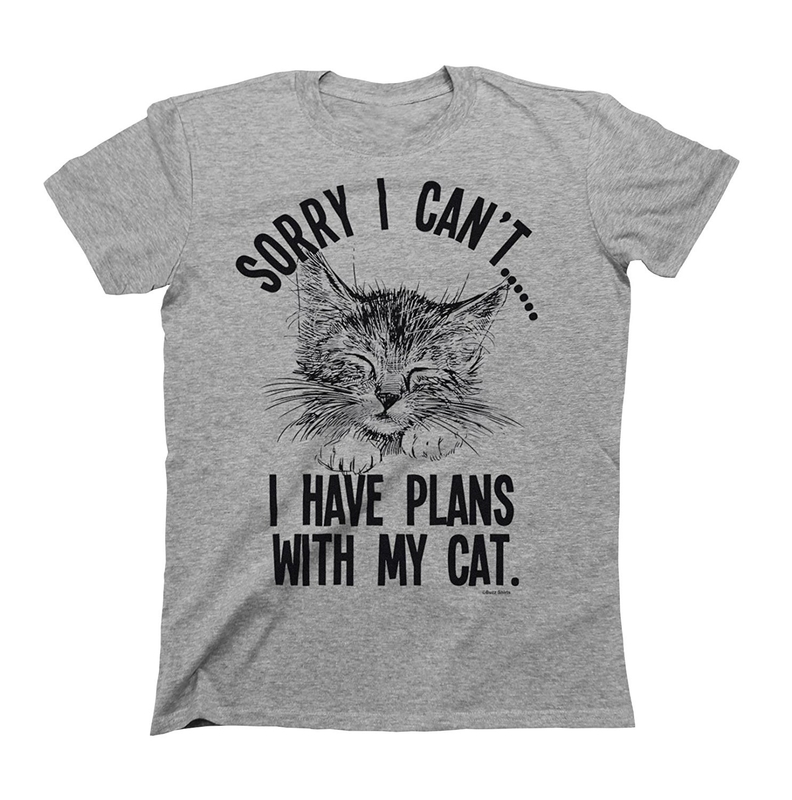 A sassy tee emblazoned with your response when someone tells you you need to cool it with the animal puns. This design is also available on a baseball tee, V-neck tee, hoodie, crewneck sweatshirt, tank top, racerback tank, or baby onesie. 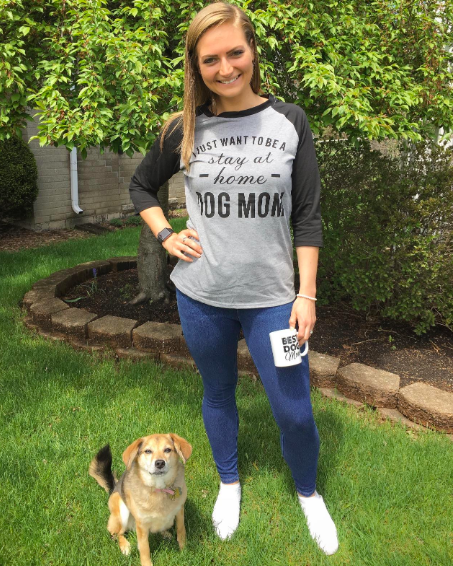 Get it from Human for $19.99 (originally $21.99, available in sizes S-3X and in five fit/material styles and four colors). 22. A sweet white tee depicting love in its truest form — a girl and her Frenchie. Get it from ModCloth for $25 (available in sizes XS-3XL). 23. A Tyrion Lannister quote tee to remind everyone you meet not to question you. Get it from Amazon for $12.91+ (available in sizes S-3XL). 24. A gaming-inspired Disney Princess tee featuring all the classic badass ladies and their weapons of choice. Rapunzel's is a frying pan...who knew right? Get it from Hot Topic for $22.90 (available in sizes S-XL). 25. A truly regal option, which I sincerely hope you just read in Julie Andrews' voice. Otherwise we can definitely never be friends. My Oh My Supply Co.
Get it from My Oh My Supply Co. for $26 (available in sizes S-2X). 26. And this floral-lettered beauty, which if you didn't read in Meryl Streep's voice, ditto. 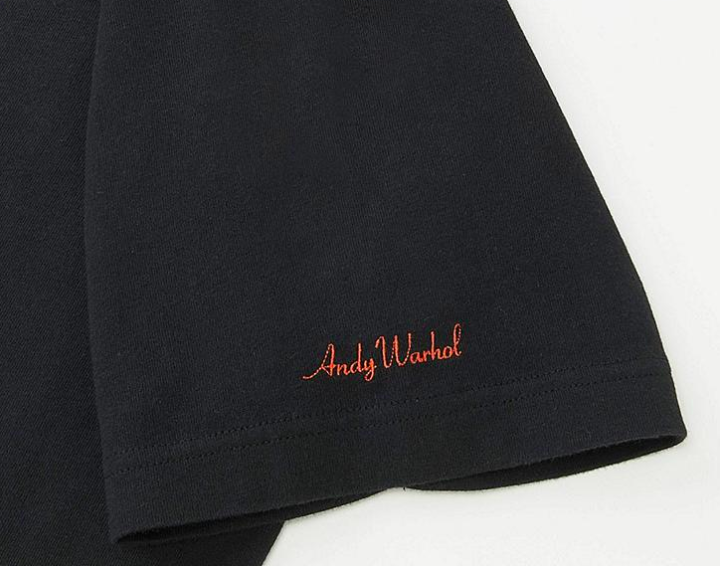 With this tee the devil not only wears Prada, but is in the details. Or rather, the angel is in the details, since the tee is kindly designed with eco-friendly ink actually printed into the threads of the shirt (so the lettering won't start peeling even after lots of love). Get it from Femfetti for $28 (available in sizes XS-4X). 27. 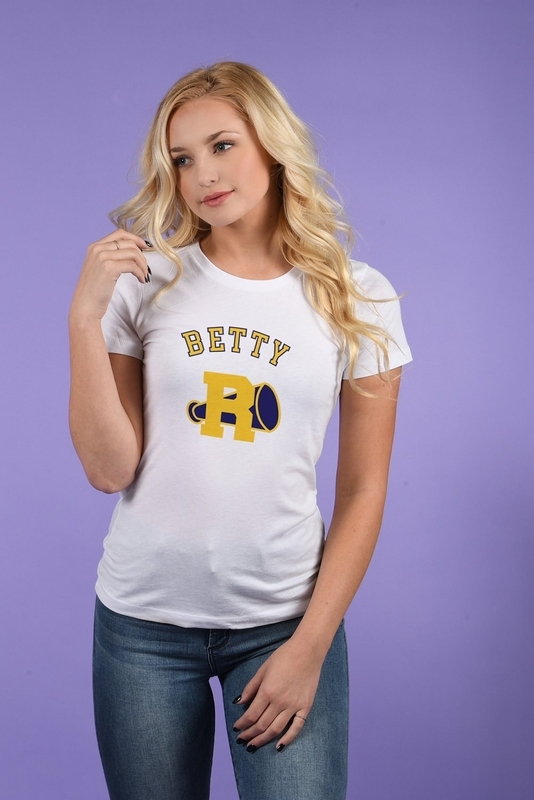 Matching Betty and Veronica tees to share with the BFF you text every Wednesday night after Riverdale. 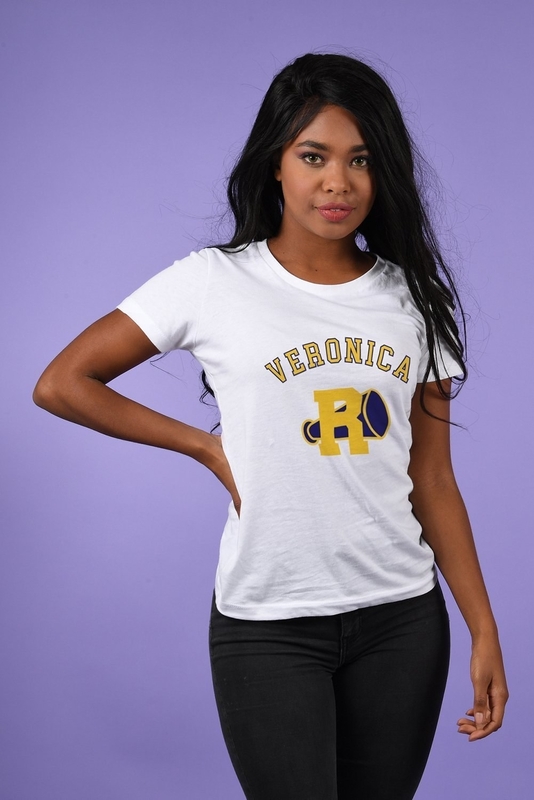 Get the Veronica tee or the Betty tee for $24 (both available in sizes S-L), both from Iconic Duo. 28. A tie-dye Fall Out Boy tee that this whole damn city thinks it needs, but not as much as I do. 29. A cheeky option for anyone who loves period dramas just as much as they love regular drama. A graphic tea, if you will. Get it from ModCloth for $25 (available in sizes XS-4X). 30. 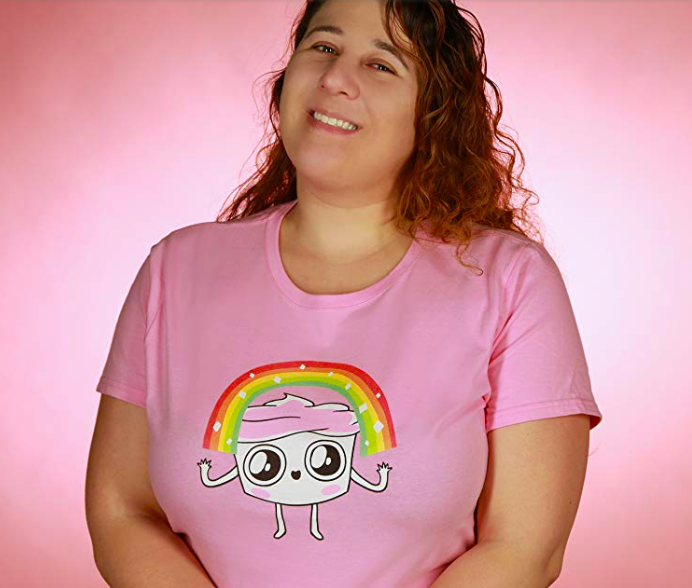 A rainbow tee with truly excellent advice (repeated over and over again because you need to hear it). This beauty is made with eco-friendly ink that's not printed on, but rather woven into the shirt — so it won't start peeling off after a while. 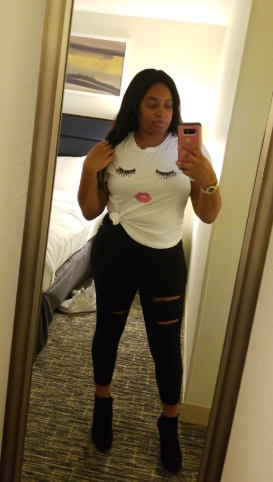 Get it from Femfetti for $28 (available in sizes XS-3X). 31. A punny version for anyone who ABBA-solutely adores hoofed mammals and watching the "Dancing Queen" number on repeat. 32. 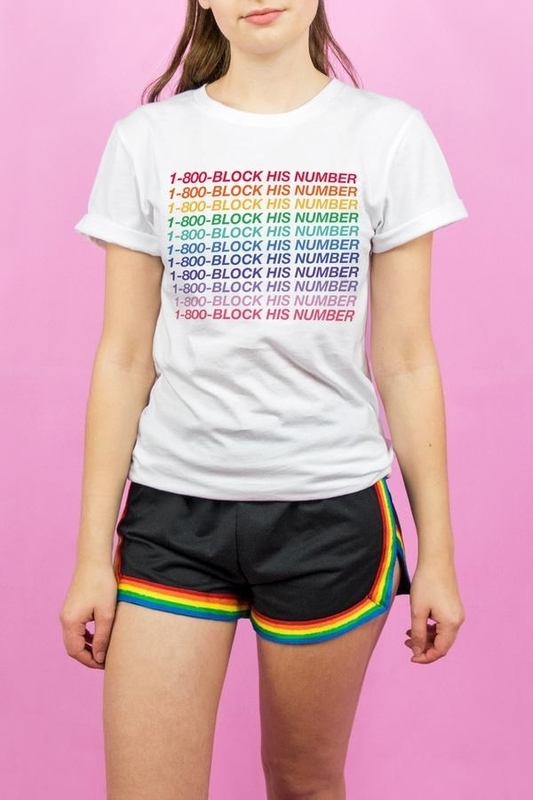 A colorful tee to help every ~moody~ former '90s kid get everyone to leave them the heck alone. Get it from Wildfox for $66 (available in sizes XS-XL). 33. A metallic foil Black Panther tee you should absolutely own — without question. 34. And an aww-worthy T-shirt featuring a unicorn studying up on how to be extra magical ✨. Here's hoping you amass a collection of graphic tees larger than Sheldon Cooper's.